The benefits of a little greenery are endless and include amongst other things, improved health, happiness, and intellect. 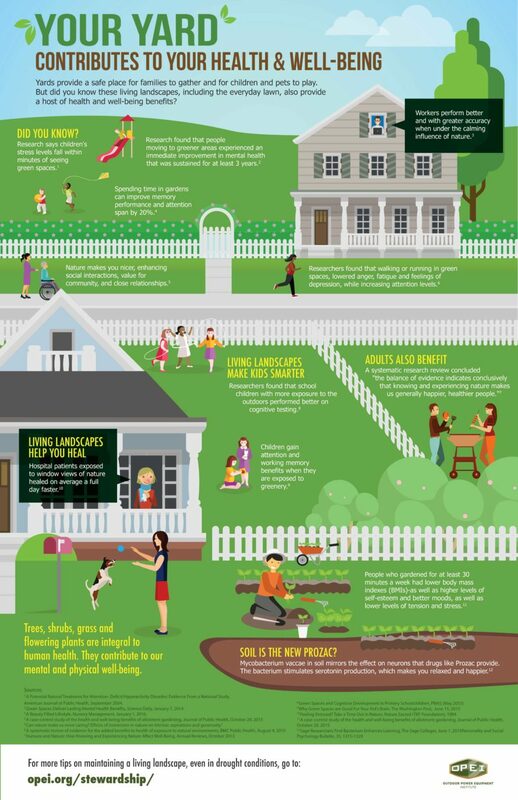 If you’re fortunate enough to have a backyard garden or live in close proximity to a park, now is the time to start spending more of your days outside. Even a small rooftop garden or balcony planter can work wonders for relieving stress and even improving intellect! And if you happen to live in a drought-prone area, don’t forget you still have plenty of options for plant life, so forgo the lawn and check out some inspiration for drought-friendly plants. The benefits of a little greenery are endless and include amongst other things, improved health, happiness, and intellect. If you're fortunate enough to have a backyard garden or live in close proximity to a park, now is the time to start spending more of your days outside. Even a small rooftop garden or balcony planter can work wonders for relieving stress and even improving intellect! And if you happen to live in a drought-prone area, don't forget you still have plenty of options for plant life, so forgo the lawn and check out some inspiration for drought-friendly plants.